billboard's tweet - "Looking good, @BTS_twt! 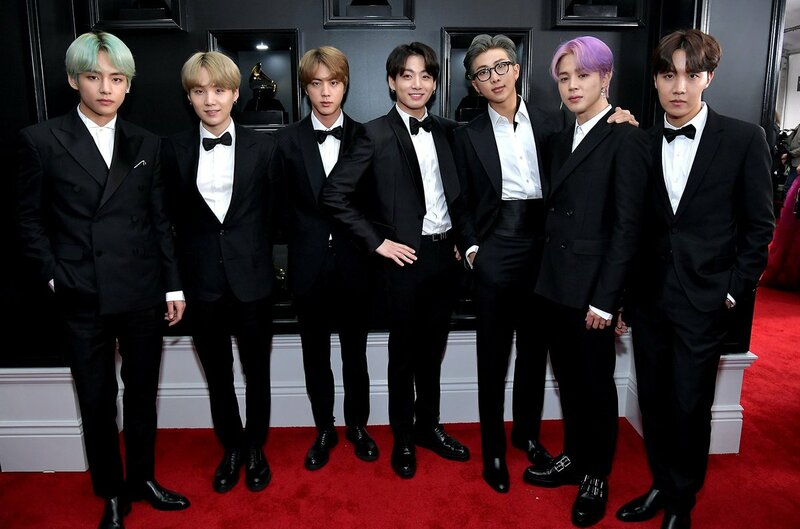 😍 See their handsome 2019 #GRAMMYs red carpet pics "
They know how to rock suits, that's for sure. Kim Taehyung OMFG!!! V YOU'RE SO gorgeous 😍😍😍😍😍😍😍💜💜💜💜💜💜💜 BTS I LOVE YOU!!! Estoy muy orgullosa de ser fan de una increíble banda, conformada por chicos muy talentosos y con un increíble corazón. boy with luv ✊🏽 💜 m.